In early 2018, Don Adam co-founded SitePoint Partners. As Managing Partner, Don leads a team of accomplished healthcare professionals who partner with hospitals, health systems, and other providers, defining and implementing strategies to identify, develop, and optimize the performance of retail-oriented, consumer-centric healthcare service locations. SitePoint provides its partners with access to the clinical, operational, and financial resources to execute these strategies successfully - from where to locate each facility and how to design them, to what service lines to put inside each facility and how best to run them; including the turn-key construction, financing, and development of those facilities. In other words, SitePoint helps partners open new "front doors", as well as better operate their existing ambulatory/retail locations. Prior to co-founding SitePoint, Don held senior executive corporate development roles at several publicly traded ambulatory and post-acute healthcare companies, all of which focused on creating equity joint ventures/partnerships with not-for-profit and for-profit hospitals and health systems. His corporate development experience across a broad range of healthcare transactions encompasses joint ventures, mergers, acquisitions, divestitures, and capital raising; including strategic advisory, design, development and construction, and operations of Acute Rehabilitation Hospitals, LTAC Hospitals, and free-standing emergency rooms, among others. From 2013-2017, Don was the Chief Corporate Development Officer for Adeptus Health (NYSE:ADPT), the nation's largest operator of free standing emergency rooms and micro-hospitals at the time. From 2011-2013 he was Chief Development Officer for LHC Group (LHCG: NASDAQ), a leading national provider of post-acute healthcare, including home health, hospice, LTACH, and community based healthcare services. Prior to joining LHC, from 1999-2011, he served in a similar role for RehabCare (RHB:NYSE), a $1.4 Billion post-acute healthcare company which owned and operated acute rehabilitation and LTAC hospitals, and provided inpatient and outpatient rehabilitation management services to hospitals and skilled nursing facilities. He enjoyed a successful decade in banking before making the transition to health care. Don holds a BS in Finance from Penn State, and a MBA from the University of Pittsburgh's Joseph M. Katz Graduate School of Business. Michael Arvin brings 30 years of experience as a senior level healthcare executive who has worked with leading healthcare organizations in corporate development, strategic planning, real estate development, partnerships and acquisitions. During his healthcare development career, he has lead multiple projects that delivered de novo hospitals, medical office buildings, cancer centers, surgery centers, post-acute facilities, and mixed-use multi-purpose medical development. Prior to forming his own firm, Alliance Strategic Health Advisors, LLC (based in Dallas), in 2011, Michael held senior level business development and strategic planning roles with Methodist Health System in Dallas, TX. Michael has also held regional, divisional and corporate strategic development roles with Tenet Healthcare, HCA, and US Oncology. Michael is a graduate of the University of Texas at Austin and the Executive Education program at Kenan-Flagler Business School at UNC Chapel Hill. Justin serves as executive vice president of Transwestern’s Healthcare Advisory Services Group and leads the Houston Healthcare Brokerage Team. With 15 dedicated professionals, the Houston Healthcare Team leases over 5 million square feet of medical office space, more than any other local firm, and has transacted over 2,000 healthcare leases in the last 5 years. The healthcare team specializes in agency leasing, tenant representation, investment services and strategic account management. Justin has been with Transwestern for over 10 years and specializes in providing healthcare real estate solutions to investors, developers and healthcare providers. His expertise in leasing, investment services, development, construction and asset management, allows him to apply a holistic lens to any healthcare-related opportunity, resulting in optimal outcomes for Transwestern clients. From 2015 through 2017, Justin completed over $185 million of lease and sale transactions, consistently ranking him a top producer in Houston and within Transwestern. Justin has worked closely with numerous local and institutional clients, including MD Anderson, Texas Children’s Hospital, United Surgical Partners International, Baylor College of Medicine, Memorial Hermann, Hospital Corporation of America, Retina Consultants of Houston, Pinecroft Realty, HCP, Inc., Healthcare Realty and Investcorp. David Braunstein is a Vice President focusing on acquisitions with Seavest Healthcare Properties. Mr. Braunstein assists in the identification and evaluation of new investment opportunities. Prior to joining Seavest, Mr. Braunstein was an Originations Associate for Hudson Realty Capital, a New York-based real estate fund manager. Preceding his time at Hudson Realty Capital, Mr. Braunstein held acquisition and asset management roles at Argent Ventures and DRA Advisors in New York. Prior to this experience, he served as an Analyst in Real Estate Finance with UBS and as a Senior Accountant at Ernst & Young. Mr. Braunstein holds a Bachelors of Science in Accounting from Tulane University and a Masters of Science in Real Estate from New York University. One Healthcare. During his tenure, he has experience originating, structuring,underwriting and managing Medical Properties loans at GE Capital andnow Capital One Healthcare. During this time he has helped originate 140+healthcare deals totaling $4B+ in loan commitments, led the underwritingof 60+ healthcare real estate transactions for $1.5B+ in loans and managed a$1B portfolio of medical properties loans. Mr. Camp brings over 20 years of real estate experience and leadership to the team at Hammond Hanlon Camp LLC. Over those years, he has served as a trusted advisor to a multitude of healthcare and real estate organizations throughout the U.S. on transactions involving medical office properties and portfolios of all types of healthcare real estate assets. His clients include many of the most recognizable hospital and healthcare systems nationwide with properties located in almost every state in country. In addition to hospital organizations, he has advised many seniors’ housing companies, as well as the nation’s top REITs, real estate developers and a broad range of companies that own and/or lease significant amounts of real estate. Prior to launching H2C, Mr. Camp was a Managing Director at Shattuck Hammond Partners, where he led the firm’s healthcare real estate group for over 10 years, serving on the firm’s board and management committee. His responsibilities included advising clients in: executing real estate transactions, such as sale/leasebacks, developer selections and single asset and portfolio dispositions; raising both debt and equity capital; and providing merger and acquisition services to companies in the real estate industry. Prior to joining Shattuck Hammond Partners, Mr. Camp was a founding member of Ernst & Young Kenneth Leventhal’s National Real Estate Capital Markets Group, where he specialized in the execution of healthcare real estate transactions nationwide. Prior to his tenure with Ernst & Young Kenneth Leventhal, Mr. Camp acquired development property as a member of the land acquisitions group of K. Hovnanian Companies, a top 10 publicly-traded development company, and practiced architecture with an east coast firm as a licensed architect in the State of New York. Mr. Camp received an M.B.A. from Columbia Business School and a B.S. and B. Arch. from Rensselaer Polytechnic Institute. Neil Carolan is the Senior Vice President –Development for Rendina Companies of Jupiter, Florida. Rendina Companies is one of the nation’s leaders in design, development, financing, and leasing and property management of medical Real Estate. Mr. Carolan is a former healthcare executive with nearly 30 years of healthcare operations experience with such organizations as Ascension Health, CHRISTUS Health and the Sisters of mercy Health Care System (now Trinity Health). Prior to joining Rendina Companies, Neil was Vice President and Chief Physician Development and Real Estate Officer for Carondelet Health Network (an Ascension Ministry) in Tucson, AZ where he managed nearly 5 million square feet of land and facilities. Neil is also in his second year as Co-chair of the BOMA Medical Office and Healthcare Facilities Committee and Conference. He is the first healthcare executive to hold an appointed office within BOMA. Neil also recently authored a book along with other subject experts on healthcare real estate entitled: Developing, Leasing and Managing Healthcare Real Estate in an Evolving Healthcare Environment. Michelle is a life-long learner who brings ambition for knowledge to every client relationship. With more than 20 years of experience in the healthcare, senior living and commercial space; Michelle creates lasting value while envisioning what success means to each client. This approach, allows for adaptable solutions that provide long-term ROI and lasting relationships. Michelle joined REES over 10 years ago with a drive to innovate and leverage her family business’ brand. Since joining the firm, she relocated to Dallas and works as a partner-in-charge on domestic and international projects. Michelle’s favorite element of this role is bringing people and organizations together to develop best-in-class facilities lifting the spirits of the patients. REES designs acute and long term care solutions, and has been for more than 40 years. With the team’s depth of knowledge, unique and timely success stories are common for the REES team. Michelle is active in many organizations that support the work of her clients. These include TORCH, Leading Age Texas, TALA, Argentum, NIC, ACHE and ASHA. Never complacent, Michelle shares her time and talent for those who need it most and will be judging the IIDA Healthcare awards for the second time this year. As Vice President of Real Estate Development, Rich works closely with healthcare systems, physicians and other healthcare providers, to facilitate their growth and success through creative and expedited real estate solutions. Rich brings more than 25 years of development and construction experience, and over 15 years of healthcare industry experience. He has managed over $1.5 billion in development and construction for more than 30 new healthcare inpatient, outpatient, physician office and micro-hospital facilities in Texas and throughout the Midwest. Rich’s healthcare experience and business philosophy provide him with a deep understanding of the complexities in the healthcare industry along with a strong sense of urgency. Drawing on this experience, he helps his customers create a strategy around their vision and analytics, and then quickly implements a real estate solution that delivers success for his customers. Ralph Cram is President and Manager of Envoy Net Lease Partners LLC, a private lender to the net lease industry. He co-founded Envoy in 2011 to fill a void in the market by providing equity and high leverage financing to developers of build-to-suit or redeveloped net lease single tenant properties nationwide. Envoy has originated 24 transactions totaling over $75 million of construction and bridge loans and equity joint venture investments. Mr. Cram received his Master’s Degree in Real Estate from the University of Wisconsin and Bachelor of Arts in Economics from Kalamazoo College. An expert on net lease financing and investment, he is a frequent speaker at industry conferences worldwide including New York and Asia. David Domingue serves as Senior Vice President of Business Development for CHC. He is responsible for business development and client relationship management. With more than 20 years of experience in the healthcare industry, David has worked with some of the nation’s leading healthcare providers and support organizations. Prior to joining CHC, he served as the Southeast Regional Manager for one of the nation’s largest healthcare planning and real estate development firms. David also spent four years with the country’s leading healthcare staffing firm where he was responsible for both physician recruitment and medical staff development planning. In addition, he has worked with some of the foremost healthcare providers in the country, including Baylor Health Care System, to develop and implement specialized marketing initiatives designed to promote services and generate new patient revenue through sports and wellness programming. David is Board Certified in Healthcare Administration and a Fellow in the American College of Healthcare Executives. He holds a Bachelor of Arts and Master of Science from Mississippi State University where he served as both player and coach for the MSU basketball team. Andy Dow is a shareholder in the Dallas office of Winstead PC and heads the firm’s Health Care Real Estate Practice. He has advised multiple hospital systems on various real estate strategies with objectives ranging from monetization to physician alignment. In addition to his hospital system representation, he also represents developers, investors, physician groups and lenders in a wide variety of health care real estate transactions. Mr. Dow has been named a Super Lawyer by Texas Monthly magazine and has further been recognized by his clients and peers as one of the top commercial real estate attorneys in the nation as evidenced by his selection to Chambers and Partners USA Guide, America’s Leading Business Lawyers, and Best Lawyers in America, Real Estate Law. Mr. Dow is very active in his community, currently serving on the Board of Directors of The Real Estate Council, The First Tee of Dallas and the Texas Junior Golf Tour. Mr. Dow and his wife, Lynn, have three children and reside in Frisco, Texas. Darryl E. Freling is a co-founder and Managing Principal of MedProperties Holdings, LLC, headquartered in Dallas, Texas. Through its discretionary real estate private equity fund, MedProperties’ investment strategy is dedicated to equity investment in the development of, or value-added acquisition in, healthcare real estate throughout the United States. Mr. Freling has 27 years of experience in the areas of both corporate and real estate investment (private and public), real estate development and management, complex business structures, and finance. From 1997 until 2001, Mr. Freling worked as Senior Director of Acquisitions for Mack-Cali Realty Corporation, a NYSE listed office real estate investment trust. Prior to Mack-Cali, Mr. Freling joined Patriot American Hospitality, Inc. and Patriot American Office Group in February 1996, where he was involved in the real estate acquisition and merger activities of both companies, including the merger of Patriot American Office Group into Mack-Cali in 1997. Mr. Freling holds a JD and Masters in Business Administration from the University of Texas School of Law, and the University of Texas Graduate School of Business, respectively. Nathan has over 17 years of experience in commercial real estate finance, with the last 12 years focused exclusively on healthcare. Nathan has been responsible for the development and financing of acute-care hospitals, inpatient rehabilitation hospitals, ambulatory surgery centers, and medical office buildings. To date he has completed projects in excess of $300 million. Nathan was recently employed by Carter Validus, a commercial real estate investment trust, where he was Vice President of Healthcare Acquisitions. While at Carter Validus, he sourced and closed transactions in excess of $100 million. Previously, Nathan was Senior Vice President at KDC where he headed up a nationally focused healthcare development platform. His responsibilities included underwriting, financing, marketing, and construction management oversight. Project Experience — Baylor Healthcare System, Baylor HealthTexas Primary Care Network (South Grand Prairie, Wylie, Keller, and Southlake, TX); Texas Health Resources, Integrated Health Clinic (Richardson, TX); Texas Health Resources Presbyterian Hospital Rockwall, Freestanding Emergency Hospital, (Rockwall, TX). Nathan earned his Bachelor of Business Administration with an emphasis on finance from Baylor University in Waco, Texas. He is currently a member of The Real Estate Council (TREC) and on the Foundation Board. Chris Gordon has 19 years of experience as a Healthcare Real Estate Consultant / Advisor. Mr. Gordon is a leader for large provider accounts as part of the Global Healthcare Services team at NKF and one of his largest national clients is Ascension Health. As part of servicing provider accounts, Mr. Gordon has been responsible for managing large matrix organizations. He has in-depth experience with acquisitions, portfolio strategy & management, large lease negotiations, ambulatory strategy & planning, portfolio consolidation, development and debt & equity financing of millions of square feet of healthcare space. He is skilled at leveraging core strengths and resources as well as guiding clients to exploit market opportunities for investment, development and margin enhancement. He has strong operational, financial and project management skills with the ability to increase revenues. Before joining NKF, Mr. Gordon was Vice President of Partners Health Trust at Trammell Crow Company where he grew the healthcare real estate portfolio from $150MM in 2006 to $425MM in 2012, recognizing a return multiple of 3.4 times over the investment period. This portfolio of assets recently sold in early 2018 to Heitman from The State of Michigan. He also managed sourcing activities for new deals for investment, development or redevelopment strategies and managed a portfolio of 20 assets totaling 1.7 million SF with approximately $425MM in asset value and completed loan transactions for 17 assets with proceeds in excess of $170MM. Prior to Trammell Crow Company, Mr. Gordon was with Brandywine Realty Trust / Prentiss Properties where he completed acquisitions of 2.6 million SF valued at $260MM, performed development underwriting and aided in disposition of almost 2 million SF valued at $275MM. Lance established the firm’s transaction team and oversees the execution of proposed acquisition, disposition, and development deals. He also structures the debt and equity financing of each project. Prior to joining Caddis, Lance spent over twenty years as a transactional attorney with Hallett & Perrin, P.C. Lance's private practice focused on M & A transactional work, public and private equity, financing, and the acquisition, sale and development of real estate. Lance has received an AV Preeminent Rating from his peers for his outstanding legal ability and high ethical standards by Martindale Hubbell, the gold standard in attorney ratings. Additionally, he is a member of The State Bar of Texas – Business Law and Corporate Sections and The Dallas Bar Association – Corporate Counsel and Securities Sections. Lance is a proud graduate of Michigan State University (Economics, Honors College) and earned his Juris Doctor from the University of Michigan. When he is not busy chasing deals, Lance enjoys serving as a member and volunteer of Highland Park United Methodist Church. Chad C. Henderson is a recognized thought leader in the healthcare real estate industry and has been a successful serial entrepreneur for over 15 years allowing him to interact with a variety of leading healthcare executives and leaders nationwide. Chad is the Founder and Chief Executive Officer of Catalyst HRE. He has led Catalyst HRE in guiding hospitals, integrated healthcare systems, and specialty providers of all sizes in planning, creating, optimizing, and maintaining their healthcare real estate assets. Currently, Catalyst HRE has ongoing development and acquisition activity of healthcare facilities throughout the Southeast and Midwest United States. Catalyst HRE also provides healthcare real estate leasing, property, and facility services to over 180 locations throughout 12 states. Before launching Catalyst HRE, Chad founded THG Investments, a private investment firm with a focus of providing capital and management services to opportunities in healthcare real estate and healthcare niche operating companies. THG Investments also launched Intelligent Retinal Imaging Systems (IRIS), a retinal screening company focused on ending preventable blindness. IRIS has operations in over 15 states and has successfully screened over 50,000 patients. Chad has lead the team in developing and acquiring over 60 healthcare real estate buildings over the past 10 years. This includes acquiring and repurposing 5 buildings for new healthcare tenants. Mr. Hewett joined The Sanders Trust (“TST”) in 2010 and brings more than 25 years of diversified financial management experience to the Company. His primary responsibilities at TST include managing acquisition activity and arranging debt/equity financing as needed for portfolio expansion. Mr. Hewett founded the Healthcare Banking Services Department for AmSouth, which was later absorbed via merger with Regions Financial Corporation. He has extensive experience in financing acute care hospitals, medical office buildings, inpatient rehabilitation hospitals, skilled nursing facilities, diagnostic centers, and other facilities typically located on hospital campuses. Mr. Hewett left the banking sector when he was recruited to be the Treasurer and Chief Financial Officer of Quorum Health Group, Inc. (traded on NASDAQ; now part of CHS), who was a valued customer at the time of his recruitment. Here he was responsible for overseeing all accounting, tax and treasury functions for this $1.5 Billion plus revenue company. Since 2002, he has been actively engaged in a variety of real estate acquisition and development projects. He holds a B.S. in Corporate Finance/Investments and an M.B.A. from The University of Alabama System, and completed The Stonier Graduate School of Banking Executive Program, at The University of Delaware, graduating with honors. Jason is responsible for property management of the Caddis portfolio as well as multiple assets for third party owners. He has a thorough understanding of healthcare facility operations and development, and brings a long-term outlook to each new project. He is deeply interested in how healthcare will be delivered in an ever-changing healthcare landscape, and has a knack for aligning the interests of multiple parties. Prior to joining Caddis, Jason served as an Executive Vice President with Brackett Flagship Properties, where he sourced development and acquisition opportunities to fuel their portfolio growth. Prior to that, he served as a Senior Vice President with Duke Realty, overseeing development and operations for their Southeastern healthcare portfolio, which more than doubled in size under his watch. He also spent 17 years with Cogdell Spencer Advisors (CSA), where he was responsible for the oversight of new project development and property management in the Carolinas and other areas where CSA developed new facilities. Jason holds an MBA from the University of South Carolina and a BA from the University of Pittsburgh. He is a member of the American College of Healthcare Executives, a Certified Commercial Investment Manager (CCIM), and a licensed real estate broker in Texas, Georgia, North Carolina and South Carolina. With an impressive 20-year record of achievement in both healthcare consulting and administration, Julia helps hospital systems translate their vision into a successful final product. She works along the continuum of services Blue Cottage provides—from strategic visioning to implementation—including project management, facility planning, capital projects, operational planning, transition planning, and execution. Julia is a high-energy consultant who combines innovative thinking and creative problem-solving with a collaborative approach and roll-up-your-sleeves implementation tactics. She thrives on empowering clients to change the way they do business, applying both creativity and best practices to help them identify and reach their goals so they can function at their highest capacity. Before joining Blue Cottage, Julia was CHRISTUS Health’s System Director for Facility Design and Construction, and started her consulting career with Genesis Healthcare International. Julia founded Aegis Advisers, Inc., an independent healthcare consulting company. She received her Master of Business Administration degree from Rice University and her Bachelor of Arts degree in Human Biology from Stanford University. Mr. Javaid offers more than 20 years of investment, finance, and management experience with a variety of institutions both public and private. For the past 15 years, Mr. Javaid has been actively involved in the Seniors Housing and Care industry. He has been quoted as a thought leader by numerous industry publications and presented at several industry conferences and webinars. Currently, Mr. Javaid currently leads BMO Harris Bank’s Commercial Real Estate Healthcare group. The group provides full array of commercial banking services to facilities based clients in the healthcare space including, Medical Office, Seniors Housing and Care Industries. From 2011 through December 2015, Mr. Javaid was Managing Director of the Healthcare Real Estate Group, a lending practice within Capital One Bank’s Commercial and Specialty Finance business. He built, from the ground up, Capital One’s brand name and presence in the senior housing and care industry. He led the team that built a diversified (geographically and by operator) portfolio of loans and led loan negotiations. Previously, Mr. Javaid served as a Director in the Healthcare Real Estate Group of CapitalSource, Inc. a commercial lending and banking, investment and asset management company from 2001 through 2011. He led loan transactions and direct real estate investments for long-term care facilities including Skilled Nursing Facilities and Assisted Living Facilities. He was involved in lending over $2.7 billion in capital. Mr. Javaid also led large acquisitions and dispositions between CapitalSource and Omega Healthcare Investors as well as between CapitalSource and Healthcare Property Investors, Inc. He served as the Chair of CapitalSource’s Enterprise Risk Committee, leading efforts in enterprise risk management, corporate wide systems development, and strategic growth planning. Prior to joining CapitalSource, Mr. Javaid worked for the Carlyle Group, a nationally renowned private equity firm where he undertook portfolio management and financial modeling for office and telecom buildings, hotels, and light industrial facilities. Prior to joining the Carlyle Group, Mr. Javaid worked for KPMG, a global professional services firm. Mr. Javaid holds a Bachelor’s in Accounting from Franklin and Marshall College in Lancaster, Pennsylvania and is non-practicing Certified Public Accountant (CPA) licensed in the State of New York. Additionally, he is a Chartered Financial Analyst (CFA) charterholder. As Chief Strategy Officer, Henry is one of the owners and co-founders of the design/build company headquartered in Atlanta, GA. Henry is responsible for directing strategic alliances, pre-development, and business development activities for Freese Johnson. He leads the company’s design/build initiatives, aligning with partner firms to assist in delivery of design/build projects awarded to the company. Freese Johnson provides construction & design/build services primarily for the healthcare sector. The company is highly focused on physician or developer owned properties, including specialty hospitals, medical office buildings, diagnostic, surgical, and plasma centers. The company's current projects include acute care and micro hospitals across Arizona, Colorado, Ohio, Texas, and Florida, along with nearly 450,000 SF of medical office buildings. Jay leads solutions development for Healthcare Services at Transwestern, providing strategies to enhance healthcare real estate performance and contribution to client mission and business objectives. Solutions include consulting and analytic services related to asset strategy, acquisition, disposition, capitalization, operations and maintenance for hospitals, medical office, outpatient clinics and other healthcare property types. Jay partners with Transwestern’s national and local resources to field the best team to implement solutions and achieve client objectives. Jay is also operations leader for Transwestern’s Healthcare Services practice group, which includes development of service capabilities and implementation of best practices across all Transwestern geographic and functional sectors serving healthcare clients. Jay has over 18 years of experience with healthcare real estate. Prior to joining Transwestern, he was Senior Director in the Healthcare Services Group at CBRE where he worked with leading hospitals and healthcare providers throughout the US. As a founding member of the group, he played a lead role in developing facilities management and transaction solutions for 26 million square feet of hospital, outpatient and medical office space, representing $570 million in managed annual facilities operations spend and $79 million in annual client cost savings. Prior to CBRE, Jay was a senior manager in the Real Estate Advisory Services practice of Ernst & Young (formerly Ernst & Young Kenneth Leventhal) where he was an early innovator in developing the concepts and application of real estate capital strategy and asset monetization. At E&Y he assisted hospitals with sale and sale/leaseback transactions, unlocking $320 million in value for redeployment back into core business needs, and evaluated nearly an equal amount where he recommended against monetization in favor of a more effective financial strategy. Jay began his career as an economic development analyst with Central Atlanta Progress after serving as a combat engineer officer in the US Army. Jay earned his Master of Science in City Planning and Bachelor of Science in Architecture from the Georgia Institute of Technology, including completion of the Real Estate Program administered jointly with Georgia State University. He is also a Certified Commercial Investment Member (CCIM). Joe Magliochetti is a Senior Vice President and Managing Director of new investments for MBRE Healthcare. In this role, he leads healthcare property acquisition and development efforts for the team, and is responsible for the sourcing, structuring and closing of transactions and joint venture relationships. During his tenure at MBRE Healthcare, Joe has led the acquisition or development of more than $2 billion in medical property transactions. Prior to joining MBRE, Joe served as a Principal and Managing Director for Helios Companies, a real estate investments and advisory firm that he founded and grew to more than 90 professionals. He also co-founded the construction and general contracting arm of Helios. In his career, Joe has completed more than $3 billion in transactions. Joe received Bachelor of Arts degrees in English and History from the University of Michigan, as well as a Master of Business Administration in Finance and Real Estate from Northwestern University’s Kellogg School of Management. He is also a LEED Accredited Professional and has earned his CCIM designation. Mr. Parsley has been involved in and responsible for all phases of commercial real estate brokerage activity over the past 35 years. A native Houstonian, he returned to Houston after graduating from law school in 1979 to serve as an attorney with Bracewell & Patterson, specializing in corporate law. In 1983, he joined Colliers International, where he is one of the company’s principal shareholders. He served as President and CEO of Collier’s Houston office prior to assuming the position of Co-Chairman in 2004. He brings a wide range of real estate experience, along with an understanding of the legal issues involved in real estate transactions. He has represented a broad range of corporate clients, both public and private, in office and industrial sales and office tenant rep lease transactions in Houston and throughout the USA. Bob currently serves as a member of Colliers’ Occupier Services Group, Healthcare Services Group and Law Firm Services Group. Bob has been one of the top two producers in the Colliers Houston office for the past fifteen years. He has also been a Colliers Everest Award recipient since the inception of the award, which is granted to the top 10% of producers for Colliers International in North America. The SIOR designation that he carries signifies the highest level of accountability and ethical standards in commercial real estate. Mr. Parsley received his undergraduate degree in Government from the University of Virginia and his law degree from the University of Texas School of Law. Bob has served as a director of numerous community and charitable organizations, including Strake Jesuit College Preparatory (Houston, TX); Development Board of the University of Texas – Houston Health Science Center; Texas Lyceum Association; Houston Area Urban League; University of Virginia Alumni Association (Charlottesville, VA); Texas Commerce Bank – Richmond/Sage; Houston Office Leasing Brokers Association (HOLBA), Leadership Houston and Crime Stoppers. Additionally, he served as a Director and President of the Cystic Fibrosis Foundation, Houston Chapter; President of Houston Office Leasing Brokers Association (HOLBA) in 2004, and Bob and his wife, Louise, served as Co-Chairman of the Strake Jesuit College Preparatory Capital Campaign. He is a former member of the Finance Committee at St. Vincent de Paul Catholic Church, where he chaired the Capital Campaign for the new parish center. For more than a decade, Christy's legal career has been focused on commercial real estate, representing both landlords and tenants in connection with leasing industrial, office, retail, restaurant, and multi-family properties. Additionally, she has advised clients in the acquisition, development, management and disposition of hotel and resort, industrial, office, retail, and hospitality properties. Since joining Waller, she has assisted publicly traded and privately held hospital companies and other healthcare providers with leasing transactions involving medical office buildings, ambulatory surgery centers and physician practices and other healthcare facilities. Healthcare clients value my insight and experience in commercial real estate matters with respect to the complex regulatory overlay that the federal anti-kickback statute and Stark Law impose on leasing arrangements between hospitals, health systems, physician practices and other healthcare providers. John Pollock is Chief Operating Officer of Meridian Property Company, a Marcus and Millichap subsidiary. He is responsible for the vision, growth and profitability of Meridian. John directs the company’s strategy and manages operations, including, development, sales, marketing, asset management and finance. Prior to his appointment as COO, John was Chief Financial Officer of the company. With more than 20 years of knowledge shaped by a wide range of experiences in commercial and residential real estate development, John has proven his ability to lead, develop and manage projects of any size. Prior to joining Meridian in 2006, John served as General Manager for national home builder Centex Homes where he was responsible for all land development, construction and sales in Santa Fe, New Mexico. From 1997 to 2003, John served as Vice President of Bovis Lend Lease, a leading international project management and construction company operating in more than thirty countries. At Bovis John’s responsibilities included managing finance, project controls and risk management and he was involved in a wide range of transactions in size, scope and geography. Notable developments included: Santana Row in San Jose, CA, Four Seasons Hotel in San Francisco, CA, Lincoln Square in Bellevue, WA and the Privatization of Fort Hood Family Housing in Killeen, TX. John is a Certified Public Accountant and received a Bachelor of Science degree in Economics from St. Mary’s College. He is an active member of the Institute of Management Accountants for whom he teaches a monthly course. Steve Reedy is Managing Director of CIT Healthcare Finance. Steve manages a healthcare real estate loan origination, underwriting, and portfolio management team that provides financing for loans secured by cash flow generating healthcare real estate. CIT Healthcare Finance provides secured financing for real estate within the medical office, seniors housing, assisted living, and skilled nursing sectors. Mr. Reedy has a diversified background in investment banking, credit, lending, risk management, portfolio management, and workout. His banking career prior to CIT includes experience with Textron Financial, AT&T Capital, FMAC, and Merrill Lynch. Steve has been with CIT since 2001. Reedy holds a BA in Accounting and Business Administration from Thiel College and an MBA in Finance from the University of Pittsburgh, /Katz School of Business. He holds Series 7 and 63 Licenses. 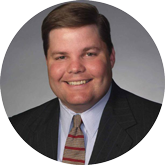 Jason joined Ochsner Health System in 2007 as the Director of Corporate Real Estate. He currently serves as the Assistant Vice President of Corporate Real Estate and is responsible for the overall strategy and performance of the system’s portfolio of medical, office, land and multi-family assets. Prior to joining Ochsner, Jason served in progressive management roles with publicly traded REITs and private real estate management and development firms across the Southeast. He holds a BA in philosophy from Millsaps College and lives with his family in New Orleans, Louisiana. Keyur Sathe is a seasoned operator and developer of outpatient healthcare facilities and has 20 years of diversified healthcare and management experience. He is Founder, President and Chief Executive Officer of NiteHawk Pediatric Urgent Care, an operator of after-hours pediatric urgent care centers. From 2007 to 2013, he was President and Chief Executive Officer of Trinity Surgical Worldwide (Trinity), a national ambulatory surgery center development and management company. He managed all aspects of the company’s operations and growth since founding Trinity. Mr. Sathe also served as Principal and a member of the Board of Directors of Healthcare Real Estate Resources (HRER), a private healthcare real estate brokerage, finance and consulting firm from 2010-2015. In this role, he helped further the tremendous success HRER has enjoyed over the past thirty years, having successfully been involved in over $1.6 Billion of transactions for hospitals and other healthcare developments across the country. Prior to founding Trinity, he spent five years working in ambulatory surgery center operations and development with United Surgical Partners International, Inc. (USPI) and Titan Health Corporation (Titan), two leading national surgery center companies. During this time, Mr. Sathe led the business operations and served as Administrator of two of the most successful surgery centers in the nation. Prior to that time, he was a health care consultant with PricewaterhouseCoopers LLP, working nationally with large integrated health systems and academic medical centers to improve operations and reimbursement systems. Mr. Sathe began his career serving in various positions in hospital administration and the long term care industry. He earned his Bachelor of Science degree in Biology from Trinity University and Master of Health Administration degree from Tulane University. Vic Schmerbeck is Executive Vice President of Strategy and Business Development with Emerus. Mr. Schmerbeck focuses his efforts on health system partnerships, market penetration and clinical service lines in existing health system partnered markets, and overall growth and development of Emerus' business in partnership with health systems. Vic's background involves over twenty years of investment and merchant banking experience, particularly in the healthcare services and health system markets. He also has a long background advising and financing growth-oriented healthcare companies. Mr. Schmerbeck earned his bachelor’s degree in Finance and Real Estate from Southern Methodist University. He has served on several private company boards of directors and is involved with numerous charitable endeavors involving healthcare and at-risk children. Phil Schuck serves as Market President for the Central Florida market for Catalyst CRE. Phil has led the Central Florida market since it was opened in 2015, where he guides hospitals, healthcare systems, and specialty providers in planning, creating, optimizing, and maintaining their healthcare real estate assets. He has extensive knowledge and a strong network within the area, as he was born and raised in Central Florida. Phil also has a strong background in finance, and worked in the banking industry for 13 years with a specialty in Commercial Real Estate. Phil was honored in Ocala Style Magazine as one of Ocala’s “40 Under 40” movers and shakers in 2011. Phil received a Bachelor of Science in Finance from Florida State University. When Phil is not working, he enjoys spending time with his family: Jill his wife and their three boys, Carson (10), Kyle (8), and Cooper (3). Sam Sears is a Founder and Principal of Percival Health Advisors, a forward-looking, innovation-focused health advisory company based in Chicago, where he leads strategic consulting projects for hospitals and health systems. He has over 20 years of experience in leading strategic, financial, and facility planning engagements with a specific expertise and interest in ambulatory network planning and both regional and site specific ambulatory deployment strategies. His primary responsibilities include leading the development of strategic and financial business plans and feasibility studies, ambulatory network plans, and master facility plans that evaluate service distribution across the entire continuum. He has conducted regional and local webinars and authored a whitepaper and other articles related to ambulatory topics (including freestanding EDs) while providing value-added work relationships with some of the most prominent healthcare organizations in the country. Recently his project work has increasingly focused on ambulatory and continuum of care strategies, ambulatory service and asset optimization, and portfolio analyses driven by considerations of population health management, increased alignment and affiliations, patient experience and consumerism, and disruptive technologies and service models. Prior to starting up Percival Health Advisors with a team of experienced healthcare consultants, he spent 5 years at Brigham & Women’s Hospital as director of Clinical Research in Cardiac Surgery and 15 years as a consultant, first at Noblis and more recently as Vice President at Hammes Company. Shane Seitz joined CBRE’s U.S. Healthcare Capital Markets Group in 2018 after ten years at Ventas, a leading healthcare REIT and an S&P 500 Company. He specializes in structuring and negotiating large real estate financing and equity placements for corporate clients, private equity groups, local real estate investors, developers and healthcare providers. Shane has structured and capitalized over $10 billion in real estate transactions during his career. These transactions include medical office buildings, ambulatory surgery centers (ASCs), urgent care centers, lab and research facilities, seniors housings facilities, hospitals and wellness centers. Shane’s capital sources include life insurance correspondents, pension funds, international and domestic commercial banks, debt funds, credit-based financing, mortgage REITs and Wall Street CMBS investment banks. Shane has developed a specialization for sourcing the complete capital stack including senior mortgages, mezzanine pieces, preferred equity and joint venture equity structures. Shane brings over twenty years of real estate experience with the past seventeen focused exclusively in healthcare real estate. During his career, Shane has worked at two publicly traded REITs, a private equity firm and one of the largest healthcare developers in the country. Jason began his career as a civil engineer designing hospitals in Nashville, Tennessee. After attending graduate school, he ventured into medical office development and found his niche organizing physicians into real estate partnerships. In 2007, he was introduced to the founders of Medical Edge Healthcare Group, the largest independent physician group in North Texas. The result of this introduction was the beginning of Caddis. As CEO, Jason is responsible for the day-to-day management and operations of Caddis’ real estate portfolio. His primary duties include the financing and structuring of transactions, as well as guiding Caddis’ strategic direction. From beginning to end, he maintains significant involvement in all development and acquisition projects. Since the beginning of 2008, Caddis has grown into the largest Texas-based developer of senior housing and medical office buildings. Caddis received the honor of being identified as one of the Dallas 100 fastest growing businesses by Dallas Business Journal and has been named the 9th largest healthcare developer in the United States by Modern Healthcare magazine. Caddis has the distinction of being the only healthcare development firm to have won Healthcare Real Estate Insights awards for both medical office building of the year and senior housing community of the year. Additionally, in 2016 HREI named Jason the Healthcare Real Estate Executive of the Year. He graduated with a BS in Civil Engineering from Texas A&M University and an MBA from Southern Methodist University, where he served as president of his class, graduated with honors and was the recipient of the Cox School of Business Outstanding Young Alumni Award. Jason serves as a board member of the Folsom Institute at SMU, Texas A&M Mays Business School Real Estate Advisory Board, past Chairman for the Texas Business Hall of Fame, and is a past President of the Dad’s Club for University Park Elementary School. Raised in the Texas Hill Country, he enjoys ranching, fly fishing and spending time with his wife and two children. Mr. Soderlund is Executive Vice President of Strategic Relationships for Flagship Healthcare Properties and focuses his efforts on leading and overseeing the development and growth of strategic, profitable new business as well as developing and enhancing key client relationships. Gordon brings over 17 years of medical real estate industry experience and has extensive knowledge of the healthcare industry's trends and challenges. Previously, he served in a variety of capacities that include finance, investment, asset management, business development and client relations. Gordon has been a speaker and moderator at various industry conferences including the American College of Healthcare Executives, American Institute of Architects, Becker’s Hospital CEO Roundtable, Interface Healthcare Real Estate, RealShare Healthcare Real Estate and the Healthcare Financial Management Association. He also served four years as co-chair of the prestigious BOMA International Medical Office Buildings and Healthcare Facilities conference during which it exhibited exponential growth. Pamela Stoyanoff, MBA, CPA and FACHE is currently Executive Vice President and Chief Operating Officer for the 8 hospital Methodist Health System in Dallas, Texas. In that role she is responsible for 5 of the 7 hospitals (the other 3 being joint ventures) and a myriad of Corporate, centralized functions including IT, Purchasing, Quality, Revenue Cycle and Graduate Medical Education. Pam is experienced in strategic planning, financial management, IT, Human resources, operational performance improvement, joint ventures and physician integration. She is passionate about the Triple Aim and improving quality, population health management both with the highest level of efficiency. She is a member of several Boards, including the Dallas Ft. Worth Hospital Council Education and Foundation Board, ACHE of North Texas Board (she is currently serving as Treasurer) and several others. She is well known in the community, serving on the Trinity Commons Foundation Board (developed to promote the Trinity River Corridor Project) and has traveled to Washington D.C. with select contingencies to promote Dallas economic development. She is also on the Advisory Board for her alma mater, Valparaiso University. Prior to coming to Dallas, Pam was the Chief Financial Officer for the St. Vincent Health System (4 hospitals) in Little Rock, Arkansas. She is originally from Chicago, Illinois and began her career at Arthur Anderson & Co. Pam has her BS in Business Administration with a major in Accounting, is a CPA and has her Masters degree from the Lake Forest Graduate School of Management in Lake Forest, Illinois. Pam has spoken around the country on many topics including revenue cycle management, cost reduction strategies and diversity in healthcare supply procurement. She was most recently voted one of the top “100 Women Hospital and Health System Leaders to Know” by Becker’s Hospital Review , one of the top 25 Women in Business in Dallas/Ft. Worth by the Dallas Business Journal and was also selected by the Dallas Business Journal as a Health Care Hero (in recognition of contributions toward improving health care in North Texas). Steven Stubbs works with Adventist Health, a 19 hospital, 39 clinic healthcare system in California, Oregon, Washington and Hawaii as a Regional Director, Mergers & Acquisitions. Steven oversees the system’s real estate portfolio, including strategic planning, property management and lease administration. He has 17 years experience in the Los Angeles healthcare market and offers perspective for strategic planning in a challenging payor mix and highly competitive environment. "Jon Sullivan is Vice President of Real Estate Operations for Texas Health Resources, one of the largest nonprofit health care delivery systems in the United States. The system has 25 acute care, transitional, rehabilitation, and short stay hospitals that are owned, operated, joint ventured, or affiliated with Texas Health Resources located in North Central Texas. Jon is an industry veteran with 21 years of experience in medical real estate. His responsibilities include real estate acquisitions and dispositions, new medical office developments and the management of approximately 4.0 million square feet of system-owned or controlled medical and professional office space. Jon holds a bachelor’s degree in Psychology from Abilene Christian University. Jon Sullivan is Vice President of Real Estate Operations for Texas Health Resources, one of the largest nonprofit health care delivery systems in the United States. The system has 25 acute care, transitional, rehabilitation, and short stay hospitals that are owned, operated, joint ventured, or affiliated with Texas Health Resources located in North Central Texas. Jon is an industry veteran with 21 years of experience in medical real estate. His responsibilities include real estate acquisitions and dispositions, new medical office developments and the management of approximately 4.0 million square feet of system-owned or controlled medical and professional office space. Jon holds a bachelor’s degree in Psychology from Abilene Christian University. Jon Sullivan is Vice President of Real Estate Operations for Texas Health Resources, one of the largest nonprofit health care delivery systems in the United States. The system has 25 acute care, transitional, rehabilitation, and short stay hospitals that are owned, operated, joint ventured, or affiliated with Texas Health Resources located in North Central Texas. Jon is an industry veteran with 21 years of experience in medical real estate. His responsibilities include real estate acquisitions and dispositions, new medical office developments and the management of approximately 4.0 million square feet of system-owned or controlled medical and professional office space. Jon holds a bachelor’s degree in Psychology from Abilene Christian University." Josh brings nearly fifteen years of experience in the development of healthcare real estate and his proficiency spans across the continuum of care including inpatient, outpatient, post/sub-acute care, and senior housing. As President of RES’ development and investments platform, Josh oversees the day-to-day management of the company and is responsible for the sourcing, structuring, and delivery of healthcare assets nationwide. Prior to joining RES, Josh served as Senior Vice President of Healthcare Development Partners, a boutique healthcare real estate development firm, and as Director of Real Estate of BJC Healthcare in St. Louis, one of the nation’s largest non-profit health systems. Earlier in his career, Josh led development efforts for Cogdell Spencer Erdman, a publicly traded real estate investment trust. Josh received his bachelor's degree in Psychology from the University of Iowa and his Juris Doctorate from Washington University in St. Louis. Josh and his wife reside in Charlotte, NC and have four children and two dogs. Josh is active in his church and enjoys coaching of youth sports, a number of outdoor activities, and travel adventures. Mr. Trabold has experience in the valuation of commercial, industrial and investment grade properties to estimate Market Value and Fair Market Value for ad valorem purposes, allocation of purchase price, financing, Stark compliance and investment decisions. Industries served include medical, banking, hospitality, manufacturing and financial services. Mr. Trabold has extensive experience in the valuation of complex healthcare properties including hospitals, medical office buildings, surgery centers, imaging centers and long-term acute care hospitals. Clients include Glacier Hospital, Capella Healthcare, Wise County Regional Health System, Texoma Medical Center, Reliant Hospital Partners, HCA, Saint Peter’s Healthcare System, Henry Ford Health System, Cirrus Health, Saint Joseph Healthcare, University General Hospital, MultiCare Health System, Baylor Health Care System, HMA, LifeCare Hospitals, USPI, CHRISTUS Spohn Health System, CHS, Kutak Rock, LLP, HealthSouth, Emerus, BayCare Health System, Shore Medical Center, Butler, Snow, O’Mara, Stevens & Cannada, PLLC, 21st Century Oncology, Citrus County Hospital, Jones Day and Hunton & Williams, LLP. Mr. Trabold has served clients in 40 of the United States and Puerto Rico. Mr. Turley serves as an Managing Director for Healthcare in the Capital Markets Group of JLL. As a national platform within JLL, he serves the firm’s clients interested in healthcare real estate by analyzing and executing financial strategies related to real estate and assisting them in the evaluation of deal structures to meet their economic and financial objectives. Mr. Turley has over sixteen years of commercial real estate experience that includes investment sales, debt and equity raising, underwriting, loan sales, asset valuation and business development. Mr. Turley has underwritten and deal managed over $6 billion of real estate debt, valued over $13 billion of real estate debt and sold over $6 billion of real estate of which $5.5 billion has been healthcare related. His background includes expertise in all healthcare assets spanning the care spectrum - ranging from medical office, acute care, post-acute care and seniors housing. He has relationships with a multitude of capital funding sources including healthcare REITs, private equity, pension fund advisors, securitization groups, commercial banks and finance companies. Prior to joining JLL, Mr. Turley worked at Bank of America, CB Richard Ellis, Countrywide Commercial Real Estate, Eurohypo AG and Merrill Lynch. Mr. Wilson joined Fidelis Realty Partners as an analyst and leasing agent in August of 2003 and in 2009 was promoted to the role of Marketing Director. In 2013, he was promoted to his current role as Principal & Vice President - Retail Marketing & Leasing. He was the second employee hired by the firm that now possesses over seventy employees. He has consistently been the top producing marketing agent every year since 2003. Prior to joining Fidelis, Mr. Wilson worked as an analyst for Southwest Residential Partners / Apartment Realty Advisors. During Mr. Wilson’s career, he has been directly involved in the leasing and development or redevelopment of more than 11 million square feet of commercial real estate in Texas and Louisiana. He currently focuses on anchor leasing for the Fidelis portfolio. He has also been hired to serve as an expert witness on Landlord & Tenant matters in various legal proceedings. Mr. Wilson is a native Houstonian. He graduated from The Kinkaid School in 1998 and then earned BBA in Real Estate Finance from Southern Methodist University in 2003. He is an active member of St. Martin’s Church and International Council of Shopping Centers. Murray W. Wolf is Managing Principal of Wolf Marketing & Media, and Publisher and Founding Editor of Healthcare Real Estate Insights™. Mr. Wolf is an experienced marketing executive and an award-winning journalist with more than a quarter-century of marketing, communications and publishing experience, almost exclusively in the commercial real estate industry. Founded by Mr. Wolf in 2001, Wolf Marketing & Media has emerged as a leading provider of specialized information and marketing services for previously underserved niches of the commercial real estate industry, including healthcare and bioscience. The firm publishes Healthcare Real Estate Insights™, HREI™ Executive Briefing™, the HREI™ Resource Guide™ the Bioscience Real Estate Insights™. The firm also has a marketing communications agency division that provides public relations, advertising, direct marketing and other services to developers, lenders, investors and other commercial real estate-related clients, as well as healthcare providers. Joe Zasa is the Co-Founder and Managing Partner of ASD Management; an operator of 24 ambulatory surgery centers (ASCs) throughout the United States. Founded in 1996, ASD Management’s focus is on existing surgery centers that require turnaround expertise, development of new surgery centers with physicians and hospitals and management of the firms’ ASCs. Joe is the primary author of Developing and Managing Surgery Centers, the first comprehensive book on ASC management published in 2016 and a five star rated publication on Amazon.com. It is in its second edition and is published by the Ambulatory Surgery Center Association. He is also a full time faculty member at the University of Alabama Birmingham School of Health Sciences where he teaches surgery center management to the master’s of health administration students. Previously, he served on the Board of Directors of the Texas Ambulatory Surgery Center Association from 2005 to 2010 and served as its President from 2006 to 2008. He speaks frequently on the topic of ambulatory center development and management and regularly publishes articles related to ambulatory surgery development and management in the major ambulatory care publications. Mr. Zasa received his Juris Doctorate from Washington and Lee University, and his bachelor’s degree from the University of Alabama.